Explore Veronica Chambers's board "pattypan squash" on Pinterest. 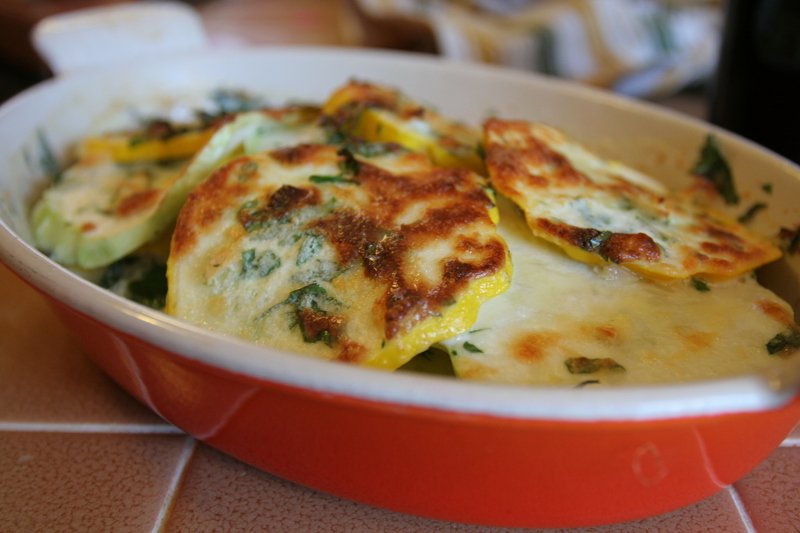 See more ideas about Pattypan squash, Patty pan squash recipes and Large egg.... Explore Veronica Chambers's board "pattypan squash" on Pinterest. 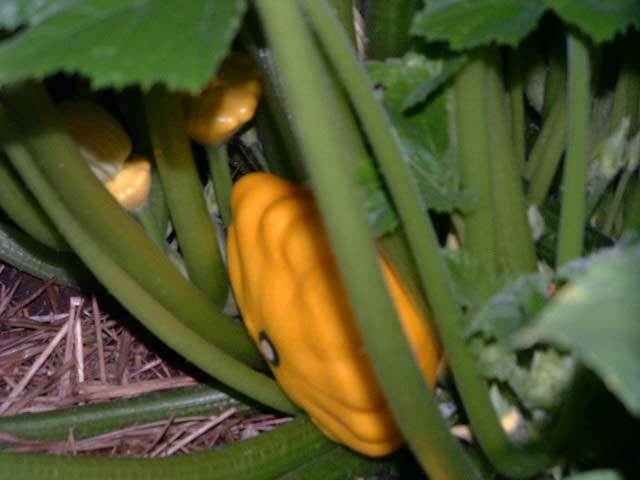 See more ideas about Pattypan squash, Patty pan squash recipes and Large egg. 19/09/2014 · Squash, squash, beautiful squash! If you’re using these patty pan squash, we’re going to boil them first. 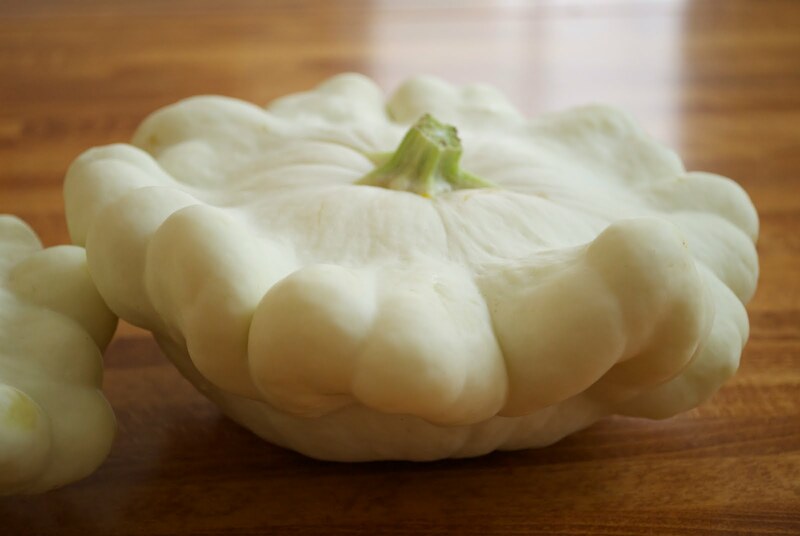 Bring a large pot of water to a boil and boil the squash …... Because pattypan squash are fairly compact, you can grow them successfully in a large container, such as the Jumbo Potato Grow Bag. Mulching your squash bed before the plants get big will keep down weeds and help retain moisture. Place bacon in a large, deep frying pan. Cook over medium high heat until browned. Remove bacon to dry on kitchen roll, and set aside. Sauté onion in bacon dripping. Chop the reserved squash pieces, and sauté them with the onion for 1 minute.... 12/09/2012 · Fill a large pot with about an inch of water, put in a steamer and steam squash for 15-20 minutes or until fork-tender but not completely squishy. Remove from heat and set aside to cool. Remove from heat and set aside to cool. Sauté the ground turkey with garlic, salt, and pepper bringing out the savoriness of the squash. Add the “meat” of the squash (the part that was leftover from hollowing out the Pattypan), fresh oregano, feta cheese and the cream cheese, for all of that creamy goodness.... Learn how to cook great Pattypan squash . Crecipe.com deliver fine selection of quality Pattypan squash recipes equipped with ratings, reviews and mixing tips. Get one of our Pattypan squash recipe and prepare delicious and healthy treat for your family or friends. Good appetite! Find the recipe for Baby Zucchini and Patty Pan Squash Sauteed in Herb Butter and other herb recipes at Epicurious.com Cooks.com - Recipes - Patty Pan Enter your email to signup for the Cooks.com Recipe Newsletter. Sauté the ground turkey with garlic, salt, and pepper bringing out the savoriness of the squash. Add the “meat” of the squash (the part that was leftover from hollowing out the Pattypan), fresh oregano, feta cheese and the cream cheese, for all of that creamy goodness.